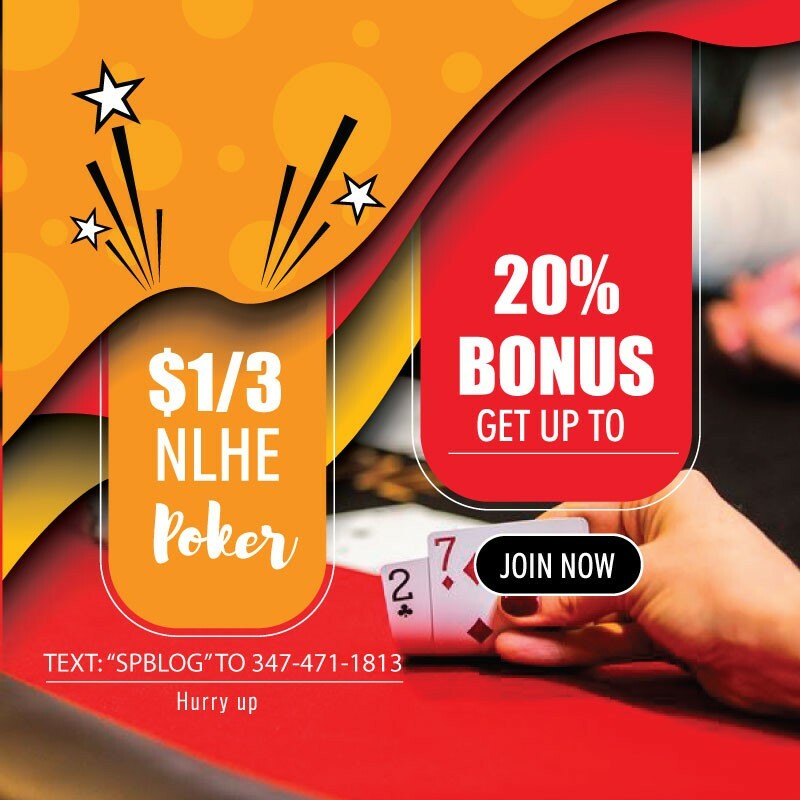 In tournament poker it is always every player for themselves, and that kill or be killed approach is only magnified by the addition of bounties. 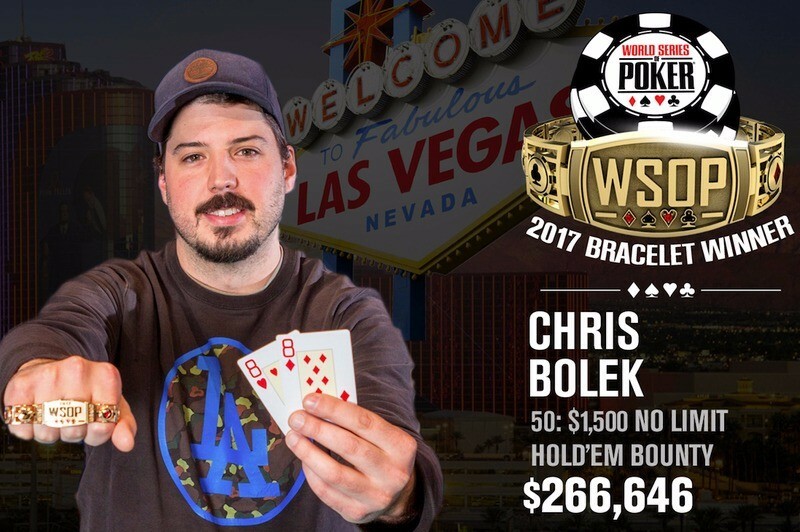 In the 2017 World Series of Poker $1,500 no-limit hold’em bounty event, knocking out a player earned you a bounty chip worth $500. A total of 1,927 players turned out for this exciting event, but the player to collect the last bounty chip was Chris Bolek. The Floridian poker pro emerged victorious, capturing his first gold bracelet, the $266,646 top prize and seven bounty chips along the way for another $3,500. The event was scheduled to run over the course of three days, but play was halted with five players remaining late on day 3 due to a limit on the number of hours a tournament can run. Bolek entered the final five tied for the shortest stack with both Zhaoxing Wang and Tobias Peters. While those two players hit the rail in fifth and fourth places, respectively, Bolek was able to win some big pots and close the gap bewteen him and chip leader Bryan Emory. Bolek soon had overtaken the lead and after he knocked out James Gilbert in third place ($119,479) he took a 5-to-1 chip lead into heads-up play with Bryan Emory, who had won 11 bounties along the way in this event. Heads-up didn’t last long. The tenth hand dealt to the final two players began with Bolek raising to 450,000. Emory moved all in for roughly 3,000,000 from the big blind and Bolek called with the 8Heart Suit8Diamond Suit. Emory held the AHeart Suit4Heart Suit and the board ran out 10Diamond Suit9Club Suit5Club SuitQSpade Suit2Heart Suit, securing the pot and the title for Bolek. Emory was sent to the rail as the runner up, earning $164,735 in addition to the $5,500 in bounties he won. Macau Billionaire Poker Presents Asia’s Largest Guaranteed Prize Pool!